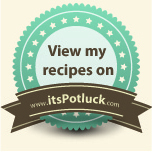 Today’s recipe is Palak Pulao or Spinach Pulao. Palak or Spinach is my most preferred green that I frequently buy as it is easier to clean the big leaves and use. I prepare quite a few recipes with palak – pulao, dal, sambar, poori, parathas, kootu (South Indian style dal preparation). Palak Pulao or Spinach Pulao is my favorite and also a dish that is totally approved by my family. Palak pulao is a one pot dish that can be prepared in a jiffy on busy mornings. I used to prepare it plain with just spinach. When my kids started enjoying it, I added veggies to the same pulao and they eat it without being picky. The green color from the spinach with the addition of vegetables and makes this pulao so appealing to the eyes and also an excellent lunch box dish. When paired with a salad and simple onion tomato raita or pappad or chips, you can have a hearty meal. Wash the rice well in water until clear. Let it soak in water until you finish the prep work. Clean the palak (I use the leaves along with the tender stems discarding the thick ones). Wash in water to get rid of dirt and mud and allow the water to drain completely. Set aside. Peel the garlic and ginger. Slice the onions. Chop the potato, carrot and beans into 1 cm length. Take the palak leaves, ginger, garlic and green chillies in a mixer jar and grind it to a smooth paste. Heat oil in a small pressure cooker; add the cloves, cinnamon, cardamom and bay leaf. Reduce the flame to medium and saute for 30 secs. Add the sliced onions and sauté until translucent. Add the ground paste along with the chopped vegetables. Saute for 4-5 mins. When the color of the paste starts changing, add the soaked rice, salt to taste and water as needed for the rice. Mix well. Pressure cook for 2 whistles on high flame and immediately lower the flame and cook further for 5 mins. Switch off the heat and wait for the pressure to release. Open the cooker after the pressure releases, fluff using a fork and serve hot. Serve this colorful and easy Palak Pulao with any raita of your choice, or chips and a salad. I did not add any water while making the paste. If you feel the paste is not smooth, add a tbspn or two of water to aid grinding. I used my 3 ltr pressure cooker. You can cook it directly in a pan too. Depending on the cooker make, the time taken may vary. You can use basmati or even regular daily use rice variety too. Whenever, I run out of basmati rice, I use the kolam rice variety. Adjust the water quantity accordingly. For basmati variety, if I soak the rice for 20-30 mins, I use rice and water in the ratio 1:1 ½, else 1:1 ¼. If using kolam or daily use rice variety, I use it in the ratio 1:2 ¼. You can make this pulao by skipping the vegetables totally. Since my kids eat vegetables when added in pulao without picking them, I intentionally add the vegetables as available at hand. You can add carrot, beans, potato, green peas, cauliflower, beetroot and even soya chunks too.